new blushes from Bourjois and I had to get one. I had to. They reminded me so much of the By Terry Hyaluronic blushes are 1/3 of the price. Both of the blushes are liquid creams that give a gentle stain to the cheeks when applied. I find the best way to apply blushes like this is to dab it on and then buff it in with the Real Techniques expert face brush. What excited me most about these two blushes was how similar they felt. They both feel really cooling (also a bit like the Josie Maran ones) when applied, which is because of the high water content I imagine! Basically, they feel really cool (literally) when applied, and are both excellent for dry skin or for giving your skin an incredible glow. I have actually found the Bourjois Aqua blush to leave behind a more prominent stain, which means it hangs around all day. 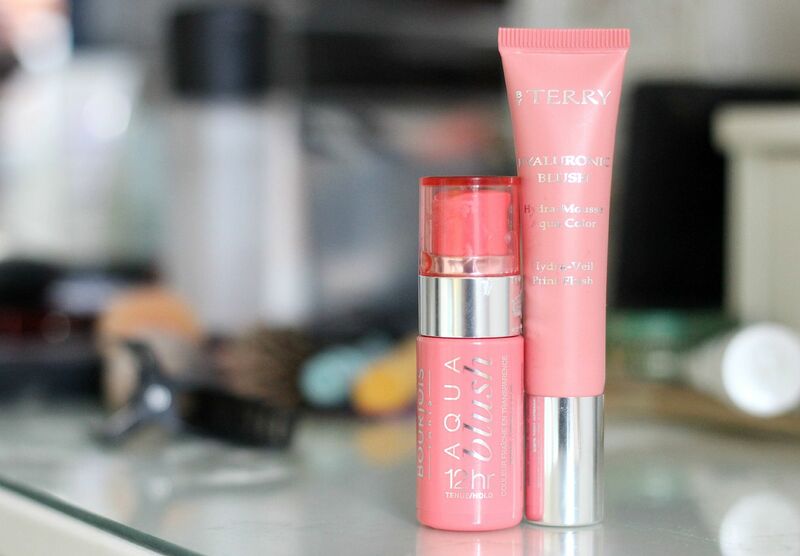 The main difference in formula is that the By Terry has some shimmer in it, and the Bourjois looks a little ‘wetter’ – they both basically translate to the same thing on the skin. 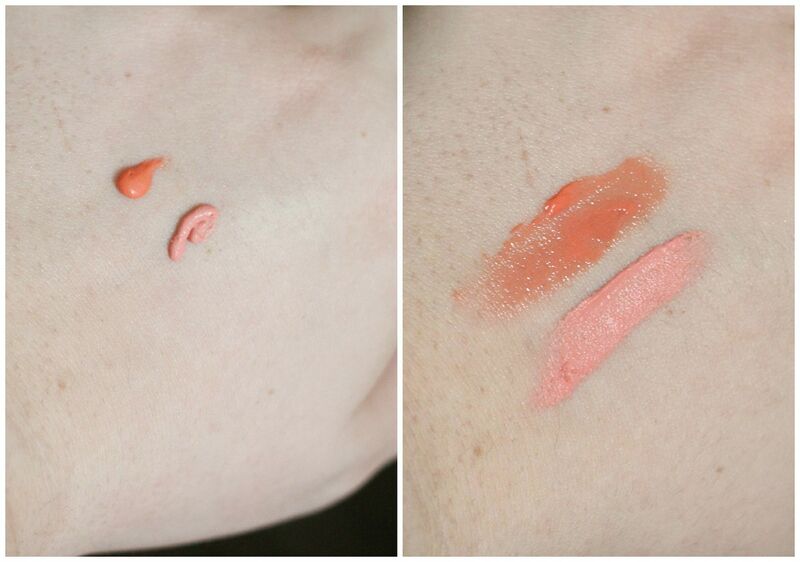 I’ve included some swatches below (the more orange shade is Bourjois), which show what I mean in terms of finish. The Bourjois is slightly wetter and therefore gives the skin more of a sheen and the By Terry is creamier. What do you think? Are liquid blushes something you enjoy, or would try?